Beyond big hats and fancy dresses – how to win at the races! 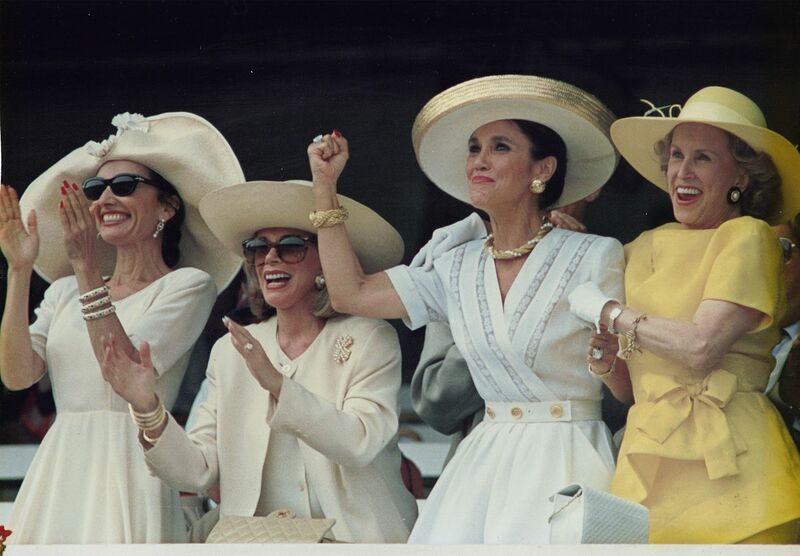 When it comes time to head out for an afternoon of fun with the girls, there is nothing quite like an afternoon at the racetrack. Fancy dresses, fabulous hats, and flutes of champagne are all part of the experience, as is risking a bit of your spending cash in the hopes of hitting it big. A recent win got you thinking – what if I could rake it in consistently? It may not be easy to do, but unlike other forms of gaming, those armed with knowledge, discipline, and a logical mindset can make money at horse race betting over the long term. If you’re ready to profit from your fortnightly outings with your sisters, check out the tips below and get studying…! You may want to choose your horse based on how handsome and virile it seems to be, but as with most things in life, appearances can be deceiving. That shy guy in the corner can be hiding a beast of a racer inside him from the second the starter’s gun goes off, so it’s important to get an intelligence report on how they have done in the recent past. The DRF (daily racing form) provides this, as it grades all the participating stallions and fillies based on their pace, speed down the stretch, recent finishes, etc. In this way, you can get the complete picture of how various horses have been performing, rather than just placing wagers based solely on feel. Costing only a dollar or so at the track or via various online services, it is a cheap way to give you an edge over your fellow lady friends. A great deal of results are dictated by the ability of horses and the jockeys that pilot them, but there are factors beyond their control that influence outcomes as well. The biggest external influencers to consider are the type of track and the expected weather that day. Some horses do better on turf than dirt, and if the skies decide to open up, certain long shots can emerge from the pack, as they may suddenly become favorites as the track turns to muck. It might not be the way you envisioned your afternoon at the races, but those fancy umbrellas are meant to be more than a fashion statement on some days! Next, you need to actually commit some of your cashola on the pony you think is going to take it all. If this is making you nervous, don’t be, as tracks allow you the option of betting on a horse to place or show as well, which pays you money (albeit at a lesser rate) if your finishes 1st or 2nd, or 1st, 2nd or 3rd respectively. You can also place bets on multiple horses, further spreading out your risk. It is fun to do this at the track, but to get comfortable with all these terms so that you don’t embarrass yourself in front of the track cashier, you can practice various structures of wagering online at sites like William Hill betting, which make it easy to learn the art of horse race betting from the comfort of your own home. 5 Ways to "Pimp" Your Bathroom!